Our classes cover the basics and more advanced techniques and are led by our expert team of quilting teachers. You'll have the opportunity to leave having created - or started - an exciting quilting project and having met a passionate team of quilters. We pride ourselves on offering an extensive range of quilting courses that are affordable and comprehensive in their contents. 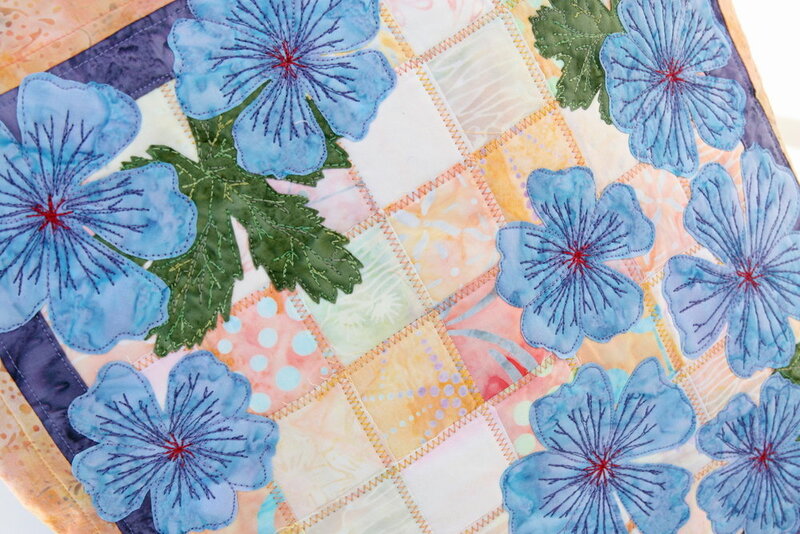 Whether you're looking for an extended project or simply to learn the basic techniques essential to the art of quilting, our classes are the perfect opportunity to spend a relaxing day honing your quilting skills. Push your creativity with one of these mandalas. Start with the pattern digitally printed onto cotton and then you are free to paint, stitch and bead however you desire. 5 colour ways to choose from. 30cm x 30cm / 12x12inches. The outlines can be free motioned or with normal foot - your choice. 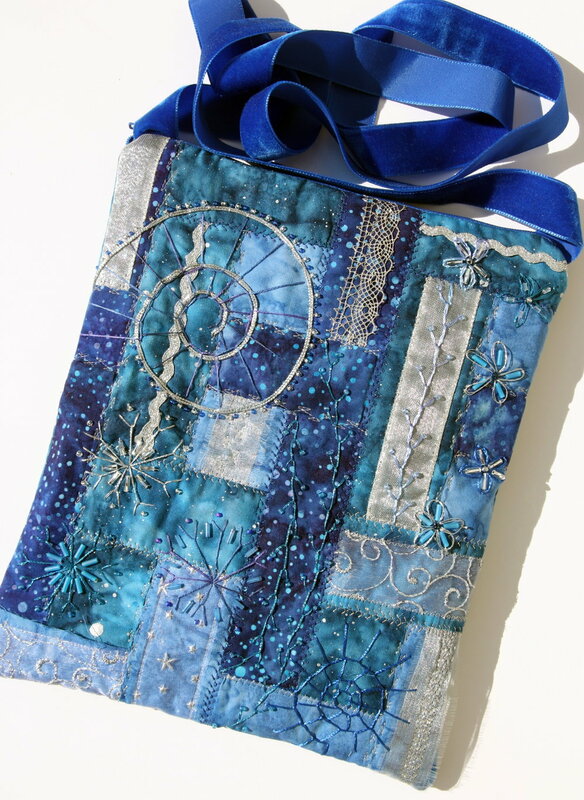 We use a range of techniques to create these sparkly bags including machine quilting, hand embroidery and beading. There is a choice of 4 colours and the bags measure 21cm x 25cm/8 x 10 inches. They have a zip and are lined and you can choose the length of the strap from clutch bag to cross body. You will need a machine and a couple of machine threads in the colour scheme of the bag. we will have hand embroidery threads. 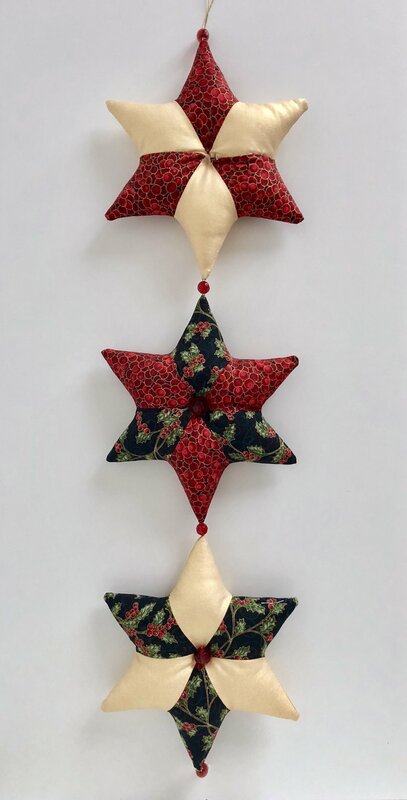 Join Gwen for her second quilting class to make this lovely hanging star garland! In the class, you'll learn how to use diamond piecing to create the intricate star shape and then how to decorate your garland with beads and ribbon. All fabric and beads are supplied - all you need to bring is toy stuffing (or buy it in-store) and your sewing machine. Free tea and coffee are provided throughout the day but you will need to bring your own packed lunch. This is one of Gillian's from Pyngwinny textiles super new classes. You'll make one of the lovely cushions as shown in the pictures. 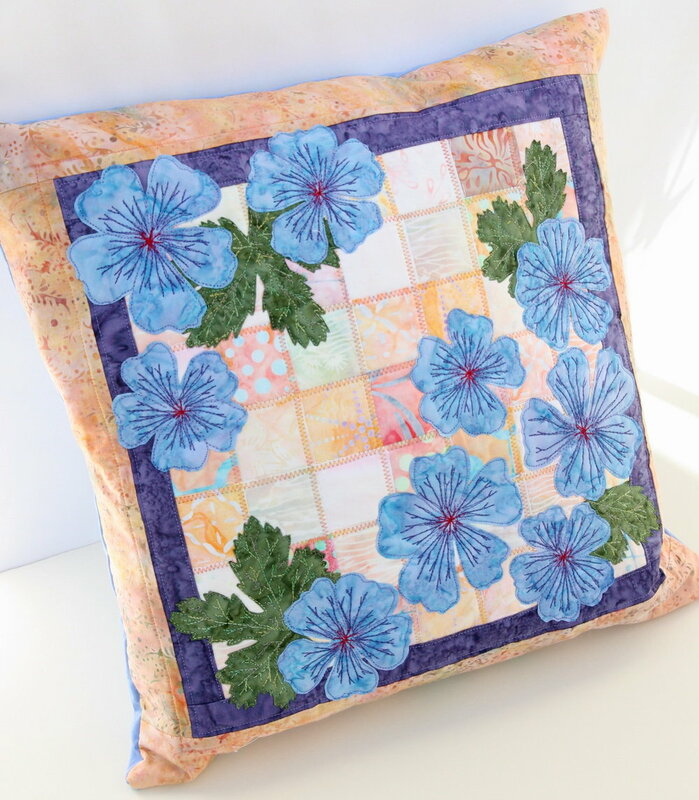 At this class you will learn how to use raw edge appliqué and free motion quilting to make a cushion with the choice of the delicate briar rose or bold blue geranium. Regular Monthly Craft Social Group making a range of sewing items. This is a small group who meet once a month. If you wish to join please click here and send us a message. Gillian from Pyngwinny is back with her lovely landscape pictures! All materials except thread are provided by Gillian - all you have to do is bring along or purchase your chosen thread for your landscape. This is a very popular class and you are advised to book early to avoid disappointment. Tea and coffee are provided however you will have to bring your own lunch. 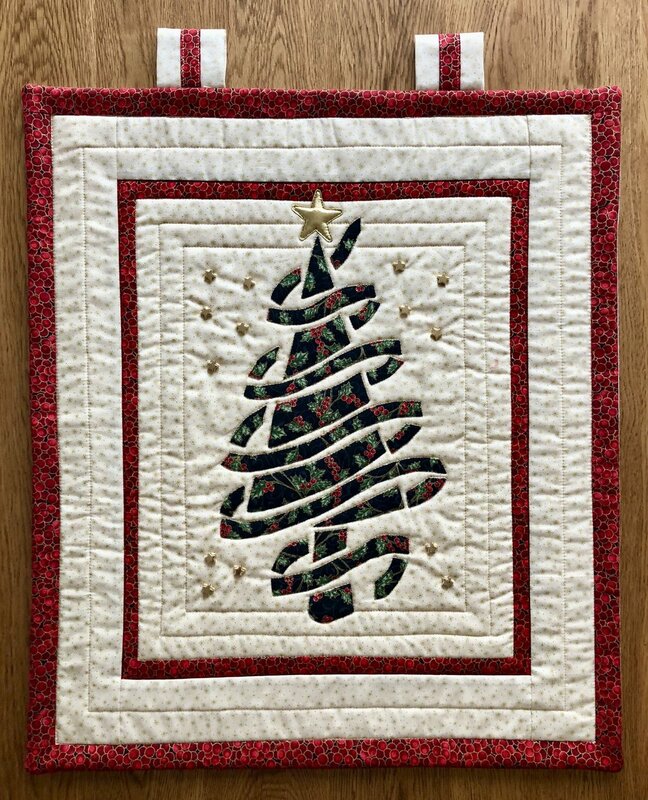 Join Gwen to make this lovely Christmas tree wall hanging. 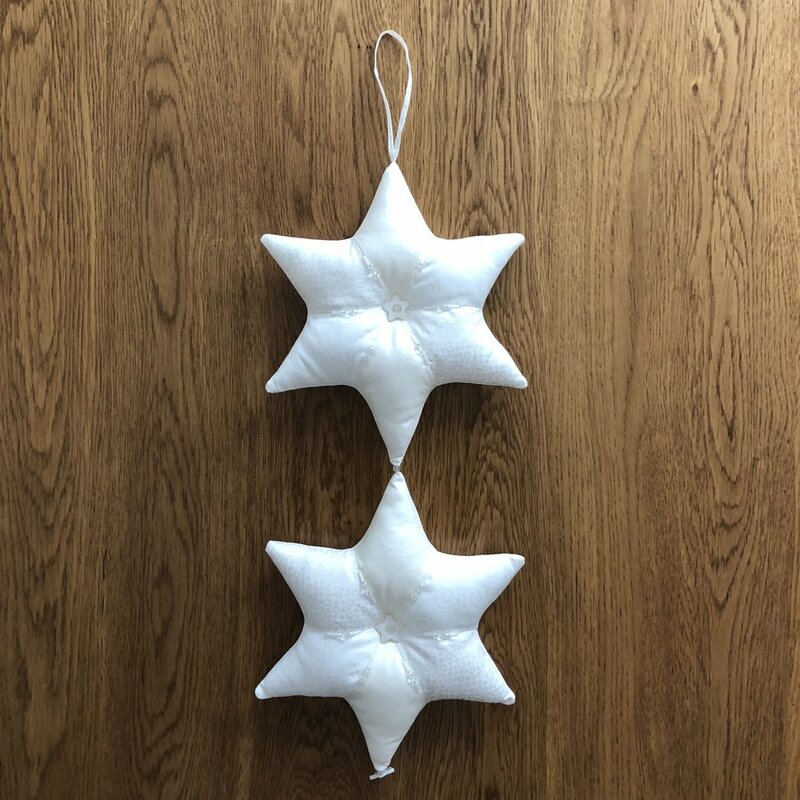 Its modern, simple design is full of beautiful little embellishments - it's sure to make a great addition to your home at Christmas! You'll learn how to do simple raw edge appliqué and how to couch braid with your sewing machine and then to finish off with beads. All you'll need to bring is good quality wadding (or buy some when you arrive) and your sewing machine. Tea and coffee is provided throughout the day but you will have to bring your own packed lunch. This is the second day of the Sewing/Craft Box Class. The Sunflower Wall Hanging when finished measures - 15 1/2 x 19 1/2 inches. For this hanging we use a variety of techniques; Brusho powders on fabric, raw edge applique and free motion quilting to build up the bright and cheerful batik sunflowers. For this class the price includes a kit for making the wall hanging and all you need to bring are the threads. A list of requirements will be given at the time of booking. The second day will be on Thursday 20th September. Join us for a fun day with Abbie Ann from Cornwall. At this class you will learn how to make a wonderful little tree with stuffed leaves also the cute little elves feet dangling out of it as shown in the picture. The cost for the day is £45. Tea, coffee, cake and biscuits are provided. You will need to bring a packed lunch. 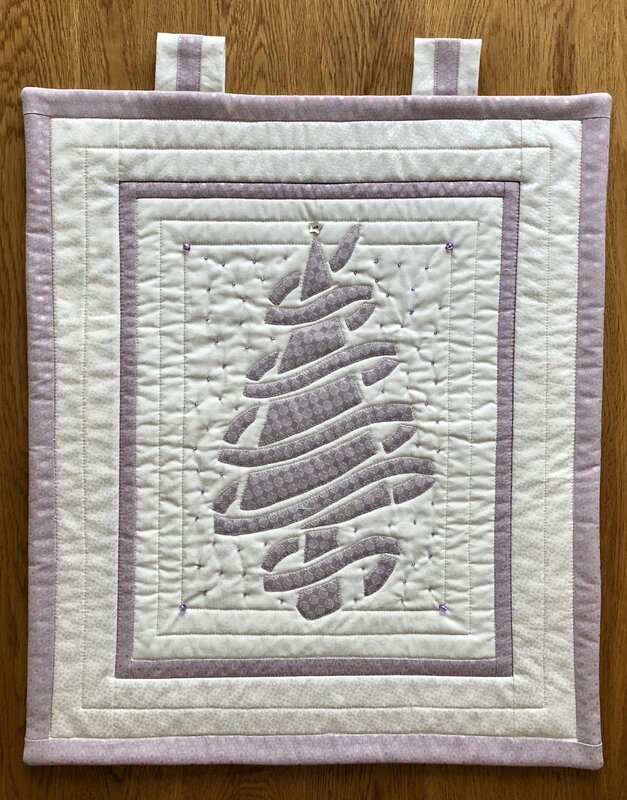 This is a brand new small group aimed at people who wish to start quilting, beginners or be part of a weekly group. Each Tuesday morning the group will meet, learn the basics of quilting, use of rotary cutters, rulers and much more along with making projects. There will be no more than 6 people at each group, so you will make new friends and make lots of items together. Please note there will be no class on Tuesday 4th September due to Abbie Ann visiting. This is a second day for the follow-on class if you’d like to continue with your quilting. If you’ve attended one of our beginners days and you wish to learn a little bit more, this class is perfect for you. We’ve chosen three lovely blocks which you can use to form a table runner or wall hanging. If you’d like to make a lovely little table centre from a charm pack then this class is for you! You’ll learn how to do some simple piecing and appliqué and then finish things off with buttons. 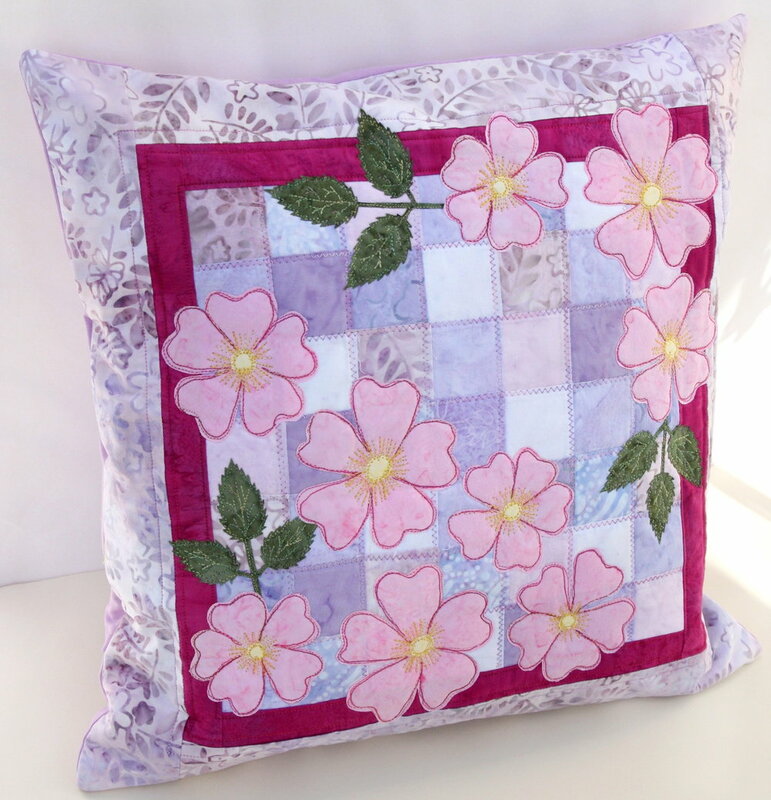 This stunning pattern made by Sherri Falls uses Moda charm packs. This lovely and fresh wall hanging will bring summer cheer into your home. You’ll learn how to appliqué if you haven’t done it before. This class is open to all. This beautiful wall hanging will be a stunning addition to any wall with its intricate colours crafted from an array of batiks that will be provided for you in the class. Some preparation work prior to the class will be necessary and we ask you to provide your own background fabric, wadding and backing (or of course you can also buy it on the day). This is the perfect opportunity to find out if quilting is for you! You’ll learn the basics of quilting such as how to use a rotary cutter and ruler, as well as how to cut accurately. We’ll start you on the right track so that you can start creating from day one! The last of these monthly classes will teach you all the skills needed to produce a beautiful heirloom quilt. You’ll learn to use a variety of stitches on your machine along with techniques for using ribbon, lace and different threads. 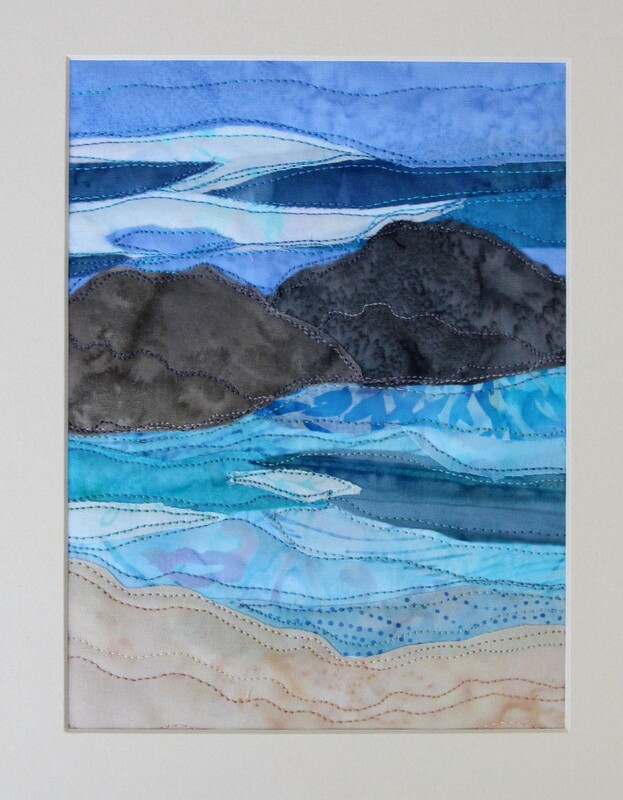 On the final day of this course you’ll quilt and bead your wall hanging. Plus, as a bonus, you’ll be given the chance to make a matching cushion to complement your work! 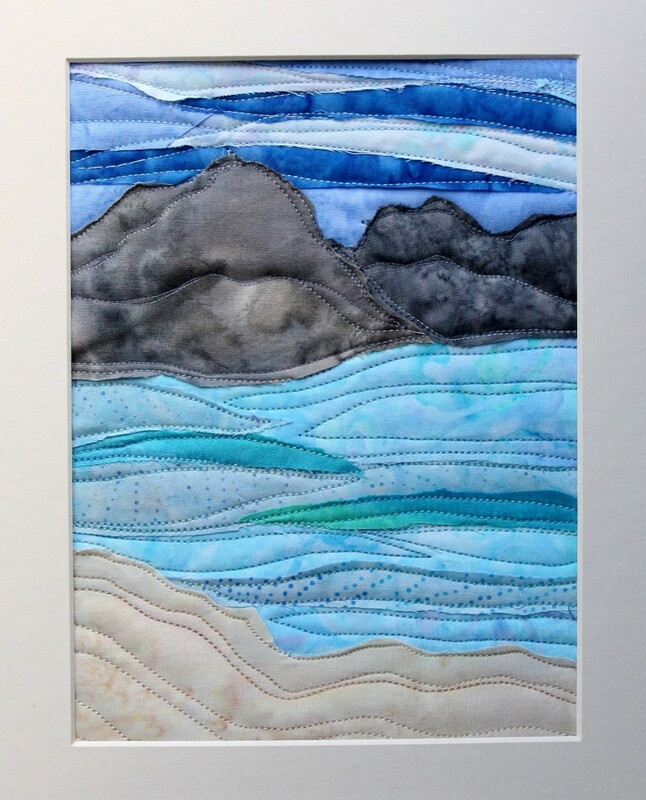 On the final day of this wall hanging course you’ll complete your appliqué and layering, before quilting, binding and applying tabs to hang your beautiful picture. This is the perfect opportunity to find out if quilting is for you! You’ll learn the basics of quilting, such as how to use a rotary cutter, and ruler, as well as how to cut accurately. We’ll start you on the right track so you can begin to create from day one! This beautiful wall hanging will be a stunning addition to any wall with its intricate colours crafted from an array of batiks. 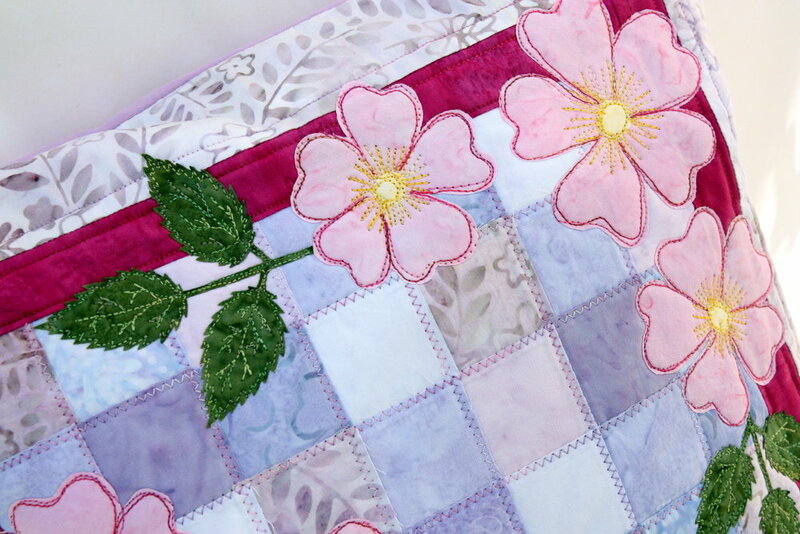 The intricate nature of this course is specifically designed for the more advanced quilter. On the first day you’ll set out your design, cutting out the small pieces and using Bondaweb to attach them to your background. Please notethat we’ll provide the fabric for the seahorse but you’ll need to supply your own background fabric, wadding and backing. Continuing with the spring theme, this delightful wall hanging will be a cheery addition to your home! On the first day of this two day course you’ll cut and appliqué using Bondaweb, as well as learn how to use bias tape for stems and leaves. On the final day of this two day course you’ll appliqué and embellish, plus you’ll be given the chance to make a matching cushion to go with your draught excluder or wallhanging. With spring on its way we thought you would like to bring a little bit of cheer to your home. This is a two day course for you to make a superb draught excluder or wall hanging. On this first day you’ll do all the ground work so you’re ready to appliqué and embellish your work. You’ll be able to either purchase the same fabrics that we’ve used or bring your own. Join us for this lovely beginner's taster morning where you’ll learn basic skills, such as how to cut and piece fabric. and how to master a rotary cutter and ruler. This lovely snowflake design is a sure hit with family, friends and guests - it would even make the perfect gift for a friend! Using strips of scrappy fabric, create a beautiful centrepiece for your table. Gather the scraps of fabric lying around your houser and join us for a fun way to finally put them to good use!